Caddy For A Cure is a qualified 501(c)(3) Not For Profit Corporation. It has been approved and operating with the PGA TOUR since 2004. Caddy For A Cure offers the public the opportunity to experience a day “inside-the-ropes” at a PGA TOUR venue, caddying for a PGA TOUR player—with 100% of the proceeds going to charity. It’s a chance to walk the greatest courses in the nation, next to the greatest players and names in the world of golf, at a sanctioned PGA TOUR event. 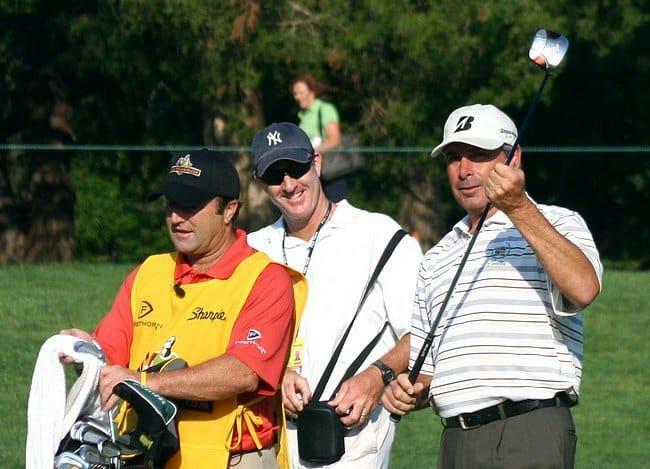 Caddying is an opportunity to gain insight into professional golf and its players that is unlike any other means. It’s a priceless opportunity to develop a relationship with one of the top players in the world while standing next to them as they hit shot after incredible shot. The Caddy For A Cure experiences are sold through a variety of methods, each reaching a diverse and immensely large audience. Since its inception and as one of its primary selling methods, Caddy For A Cure has utilized eBay’s online auction platform with its charity-arm, MissionFish.org. Through eBay’s search engine, the Caddy For A Cure auctions have the potential to reach a worldwide audience of billions. Caddy For A Cure has also partnered with many public charity events in high-end private auctions, creating a winning opportunity for many and reaching audiences that are passionate about supporting their cause. Another sales method that Caddy For A Cure has developed is a Corporate Incentive Program. This program has great appeal as a customer appreciation and employee incentive opportunity and allows businesses to build loyalty in unique and creative ways that are otherwise unavailable. The Caddy For A Cure program is an opportunity for everyone to win. It’s a unique blend of professional golf, golf fans, business and charity. The PGA TOUR and its players have long been committed to bringing professional golf closer to its fans and to ‘giving back’ from the sport, while golf fans are constantly looking for ways to get closer to the sport and its players. The PGA TOUR and its well deserved positive brand image has long appealed to businesses for its ability to reach targeted customers while offering association with a prestigious sport and brand. But perhaps the biggest winners in the equation are the multiple charities for whom funds are raised.